For lovers of impromptu getaways, there’s something about impulsively breaking out of the everyday pattern and the monotony of mundane life that feels exhilarating and outré. 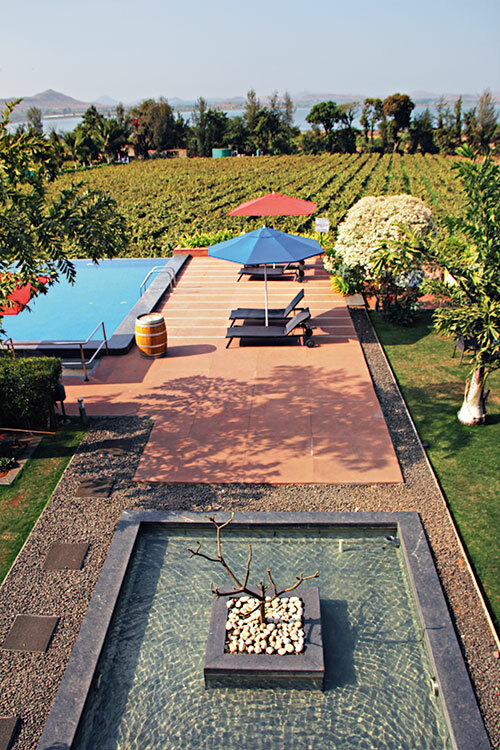 If you’re adamant on trying something different, Sula Vineyards promises a splendid respite from the cityscape and its cacophony. You’ll instantly be charmed by the enchanting drive to the vineyards, with the dazzling sun-kissed hay fields on one side and pristine Gaganpur Lake waters on the other. On arrival at Beyond by Sula, a sumptuous 32-room getaway resort, you can’t help but feel lulled as you find yourself amidst an uninterrupted and unending expanse of lush greens in the minimal and elegant resort. The first thing to start the vacation with, is an invigorating dip into the irresistible infinity pool next to the boundless plush vineyards, overlooking the exquisite lake and hills of Nasik (don’t forget to pack your hottest Shivan and Narresh splurge), with a bottle of Chardonnay. You are spoilt for choice to satiate the post-swim hunger pangs — try Soleil by La Plage to tickle your taste buds with some fabulous French cuisine with an Indian edge, or Café Rose that offers some delightful healthy and home-grown treats (they accommodate vegetarian requirements and children’s diets). 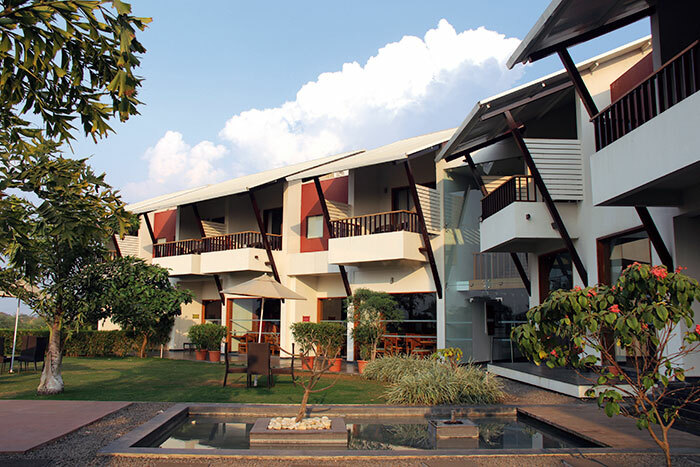 Beautiful sunsets and ceaseless wine are the prerogative of happy holidays, and Sula vineyards delivers on so many levels, since every single spot in the resort boasts a panoramic view of the plush foliage by the hills and the lake. Indulge in the Tasting Room atop the winery, sitting by a dimly lit bar, listening to tasteful music and trying all the well-seasoned inebriants that Sula has to offer, while learning about viticulture and viniculture from the guides. The winery is in close proximity to the amphitheatre, which is the venue for the annual Sulafest — an art, culture and music festival — and their decadent New Year’s Eve celebration (you can also book it for a romantic outdoor wedding). End the night sitting in silence on the balcony attached to the lavish rooms with a loved one, or just meditate by yourself and listen to crickets chirping. Allow yourself to be enveloped in a cocoon of calm with some vinotherapy at the spa. You can unwind in the Jacuzzi or get a massage with their exclusive organic and cold-pressed grape seed oil. A bicycle ride and stroll down winding country roads ends a wonderful weekend.